NYC, 04/20/2019, 2:00PM. 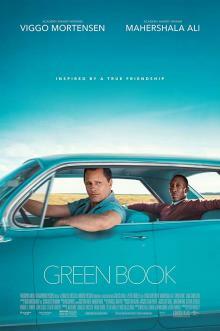 Green Book (2018): Three Time Oscar Winning Biographical Drama. 130 min. Director: Peter Farrelly. Starring Viggo Mortensen, Mahershala Ali, Linda Cardellini. Green Book won the National Board of Review award for the best film of 2018, and was also chosen as one of the top 10 films of the year by the American Film Institute. The film received numerous accolades and nominations, and at the 91st Academy Awards won Best Picture, Best Original Screenplay, and Best Supporting Actor for Mahershala Ali.